KATHMANDU, June 20: The Asian Infrastructure Investment Bank (AIIB) has assured Nepal it will finance two mega projects, each costing about Rs 10 billion (US$ 100 million) through soft loans, Finance Minister Gyanendra Bahadur Karki said. The bank will charge 2 percent interest per annum, according to the minister. We will soon start work on the detailed project reports for power supply upgrade mostly in western Nepal and infrastructure development for seven cities in the tarai, according to Ministry of Finance officials. 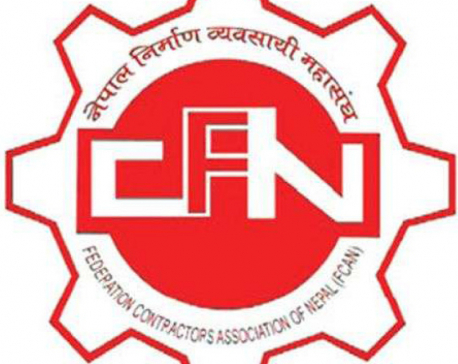 During sideline meetings with Nepali delegates including Finance Minister Karki, AIIB President Lee Kuan informed that the two projects are in process of lining up financing, according to a press release issued the by Ministry of Finance. Karki returned on Monday after attending the second meeting of board of governors of AIIB held in South Korea on Friday and Saturday. "Two projects are in the pipeline and will soon be expedited," reads the press release quoting Kuan. 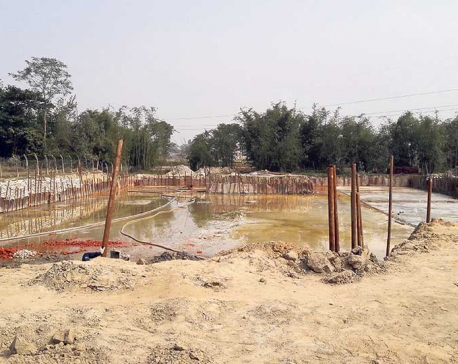 Seven cities picked for urban infrastructure development in the tarai are Kapilbastu, Gulariya, Ramgram in western Nepal and the remaining four--Inaruwa, Rajbiraj, Siraha and Jaleshwar -- are in the central and eastern regions. The investments in each cities will be made based on the requirment, MoF officials said. Both projects will operate on the same modality as the ongoing power system upgrade project in Kathamandu Valley and the urban infrastructure development projects in major cities in the tarai districts financed by the Asian Development Bank (ADB), officials of the Ministry of Finance said. Initially AIIB is expected to allocate some funds for carrying out the feasibility studies for those projects. The other projects Nepal has proposed to AIIB include a new tunnel from Tokha of Kathmandu to Chhahare of Nuwakot and development of a satellite city at Chhahare. The Tokha-Chhahare route will shorten the distance between Kathmandu and the Chinese border town of Kerung. Likewise, upgrading Beni-Jomsom-Korala road into a double-lane road and an all-weather trade route is another ambitious plan proposed for AIIB financing. Nepal also wants AIIB financing for an 87MW Tamakoshi V to be developed from the tailrace of the 456MW Upper Tamakoshi Hydropower Project in Dolakha and a 93 MW Sharada-Babai Hydropower Project (93 MW) in Salyan and Dang districts. All these projects will cost an estimated Rs 100 billion. During a press meet at the Tribhuvan International Airport after his return from South Korea on Monday, the finance minister informed that AIIB is interested to finance projects worth over Rs 100 billion. 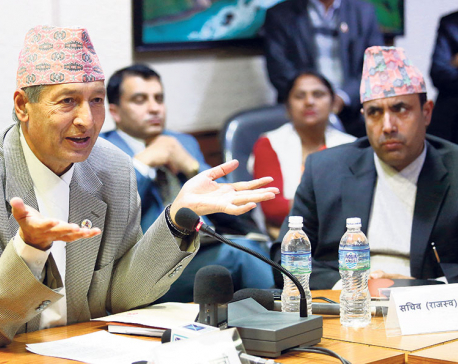 Addressing the press meet, the finance minister said that Nepal expects investments from AIIB in priority sectors like transportation, electricity generation, transmission lines, urban development, drinking water projects, aviation and information technology.